Western Blot analysis of HLF expression in transfected 293T cell line by HLF monoclonal antibody (M01), clone 1F12-1C4.Lane 1: HLF transfected lysate(33.2 KDa).Lane 2: Non-transfected lysate. Western Blot analysis of HLF expression in transfected 293T cell line by HLF monoclonal antibody (M03), clone M1.Lane 1: HLF transfected lysate(33.2 KDa).Lane 2: Non-transfected lysate. 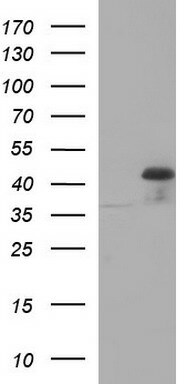 Western blot analysis of HLF over-expressed 293 cell line, cotransfected with HLF Validated Chimera RNAi ( Cat # H00003131-R01V ) (Lane 2) or non-transfected control (Lane 1). 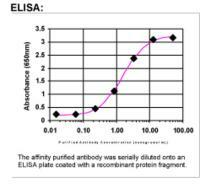 Blot probed with HLF monoclonal antibody (M04), clone M2 (Cat # H00003131-M04 ). GAPDH ( 36.1 kDa ) used as specificity and loading control. 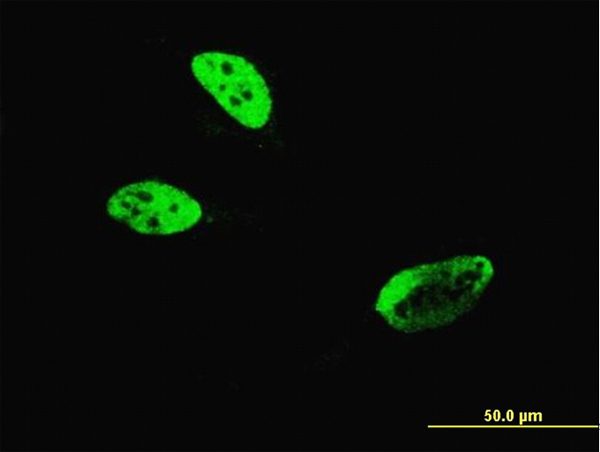 Western Blot analysis of HLF expression in transfected 293T cell line by HLF monoclonal antibody (M04), clone M2.Lane 1: HLF transfected lysate(33.2 KDa).Lane 2: Non-transfected lysate. 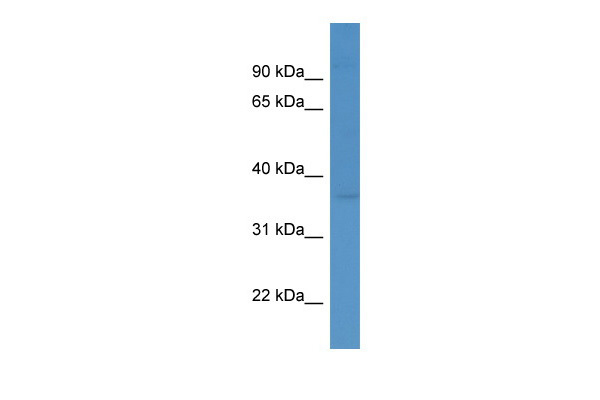 Western Blot analysis of HLF expression in transfected 293T cell line by HLF monoclonal antibody (M05), clone 2C9.Lane 1: HLF transfected lysate(33.2 KDa).Lane 2: Non-transfected lysate. HEK293T cells were transfected with the pCMV6-ENTRY control (Left lane) or pCMV6-ENTRY HLF (RC206297, Right lane) cDNA for 48 hrs and lysed. 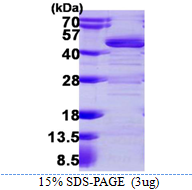 Equivalent amounts of cell lysates (5 ug per lane) were separated by SDS-PAGE and immunoblotted with anti-HLF. 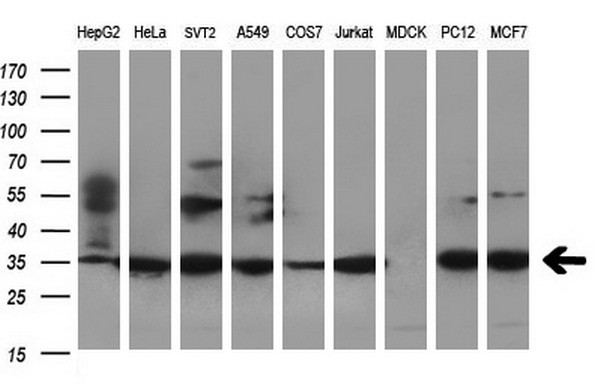 Western blot analysis of extracts (35ug) from 9 different cell lines by using anti-HLF polyclonal antibody (HepG2: human; HeLa: human; SVT2: mouse; A549: human; COS7: monkey; Jurkat: human; MDCK: canine; PC12: rat; MCF7: human).